We have a variety of inspirational classes to offer you, and most are taught during our weekend retreats--though we have begun to schedule classes during the week as well. Local patrons are welcome to join a weekend group's class or come during the week. Pre-registration is required, and some classes require a minimum of 3 students in order to run. If you would like to see any of the classes listed below offered, please let me know so that we can put it on the schedule. And if you would like to learn about something not listed, please let us know that as well; we will aim to learn it and teach it, if possible. Click here for our current weekday class schedule. Come and learn what all the excitement is about monoprinting with the Gelli Plate. 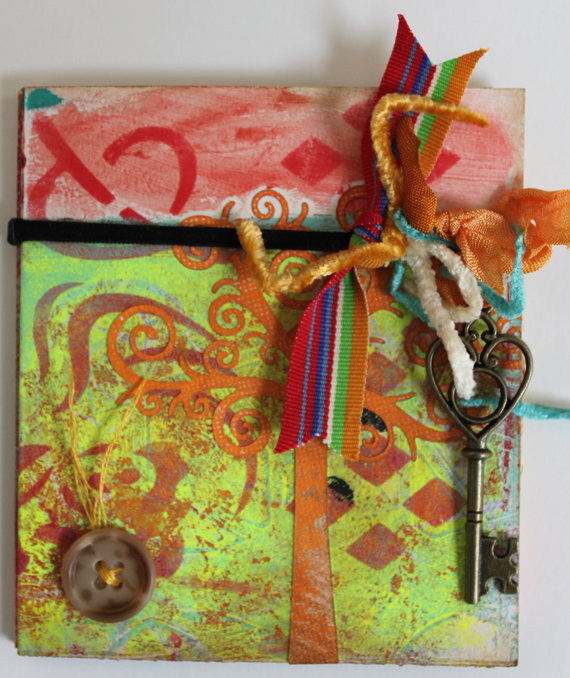 In this class, you will make two mini journals, one embellished in class, and one to embellish at home, using a variety of very fun techniques. Class cost- $40, which includes a class kit of a 6x6 Gelli Plate, an original 6x6 stencil from Howsewears, and 3 mini tags. Please bring your sharp scissors, adhesive of choice, personal trimmer, and distress inks and craft mat and scoring board (if you have them). This can be a messy class, so please wear clothing that you don’t mind painting. Altered Mixed Media Mini-Journal Class Description- Come and learn super fun techniques using Gelli Plate. In this class, you will make two mini journals, one embellished in class, and one to embellish at home. Class cost- $40, which includes a class kit of a 6x6 Gelli Plate, an original 6x6 stencil from Howsewears, and 3 mini tags. Class length- 1.5-2 hrs. Teacher Bio- Tami Howse is a mixed media artist, teacher, stencil designer, and owner of Howsewears. She began her mixed media journey in 2007 by accident when she took an introductory class. The light bulb went on when she realized that mixed media would enable her to use all of her collected “stuff” and supplies. She never looked back. Tami’s work has been featured on several popular sites, including the Gelli Arts blog. In her spare time, she likes to log miles on her road bike with her Hubby, spend time with family, drink coffee, cook, and play the flute and piano. 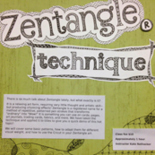 There is so much talk about Zentangle these days, but what exactly is it? It is a relaxing art form, requiring very little thought and artistic skill--but producing stunning effects! Zentangle is a registered name for a method of repetitive, patterned doodling that transforms "ordinary" into "Wow!" It is something you can use on cards, pages, art journals, trading cards, fabrics, and more. We have taken the techniques and applied them to titles to give you a quick demo of this hot topic! 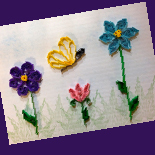 This class will introduce you to an old art form, paper quilling. This uses coils of colored paper to create beautiful accents for your projects. You will learn coiling and looping techniques to form a variety of shapes to create simple images for a card, and see examples of how you can apply those basics in other applications. You will be amazed how simple it is to create intricate works of art. Check out this class to learn how to make an adorable 6x6 mini album using 1 sheet of 12 x 24 cardstock and a different, simplified way to scrapbook. Using coordinating papers and a method that's both pre-planned and random, you will end up with a delightfully cohesive yet free-spirited look. 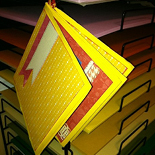 Make gift albums in a flash...and learn how you can speed up your own scrapping as well! When requesting this class please let us know your color scheme or theme for your book. Class time: 1 1/2 to 2 hrs. At this class, the beginner will learn the basics of using the Silhouette Cameo. We will talk about the various parts of the screen and what the icons are. We will search for designs from the studio library and talk about organizing your library. Now that you have your shapes, we will practice using them on the screen, then practice sending items to cut. We will cover some of the functions and editing tools, how to make simple shapes, use the text tool + windows, and where to find free fonts and dingbats. During class we will use your Silhouette to complete a two-page spread in your own style preference. You will need to bring your own Silhouette machine and laptop (with the silhouette software preloaded), blades and cutting mats. If you are just unpacking your machine check carefully to be sure you get all the foam and packing tape removed, should be at least 3 pieces of tape to remove. (Open the cover and check the inside as well as the back of the machine for foam & tape.) If you are not used to using a laptop and get frustrated using the built-in mouse pad, you may want to bring a separate mouse. If you have not done so already, take your Silhouette machine out of the box, install the Silhouette Studio software on your computer, plug it in and let’s start playing! Make sure you have the latest version of the software which is available online. Have you been using your Silhouette for basics but want to do more than the very basics? We will talk about altering a design, or creating your own designs using the software. During this class we will work with text & weld features. We explain what type of designs you can use with the basic studio software, how to use STUDIO, GSD/GST, png, jpg,tif.bmp and DXF files. We will explain more about the functions and what the icons on the screen control. We will show you how you can use Studio to design your page from start to finish. During class you will use your Silhouette to complete a two page spread. You will need to bring your own Silhouette machine and laptop (with the Silhouette software preloaded), blades and cutting mats. Bring Silhouette Sketch pens with you if you have them. If interested in taking either Silhouette class, please email Paula at paulaconn@aol.com to arrange a date and time for the class. 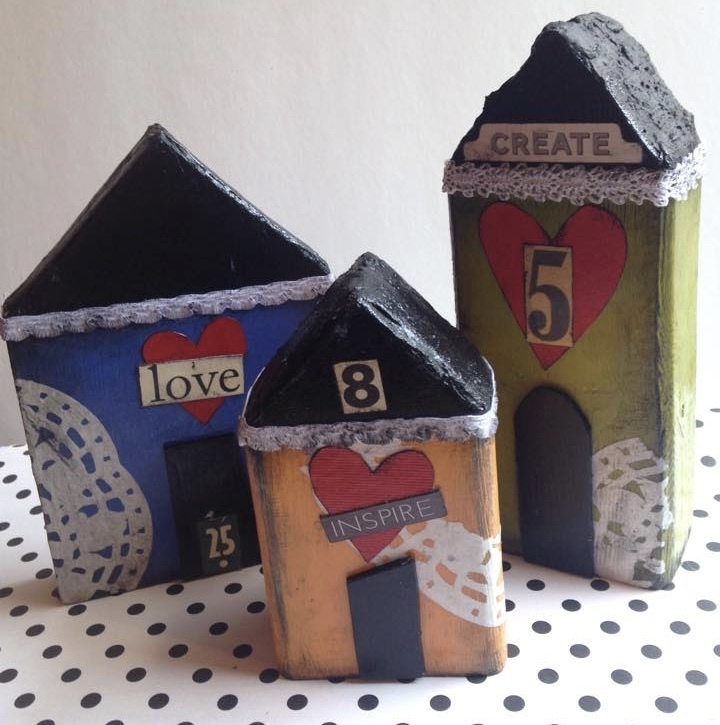 Whimsical Mixed Media Mini Village - $25 (2 hour class) Come learn how to create a whimsical little village of houses for your shelf, we'll talk supplies & I'll share a few mixed media tricks! The class includes 3 houses, and all other supplies! You will be able to purchase additional houses for $2 extra. 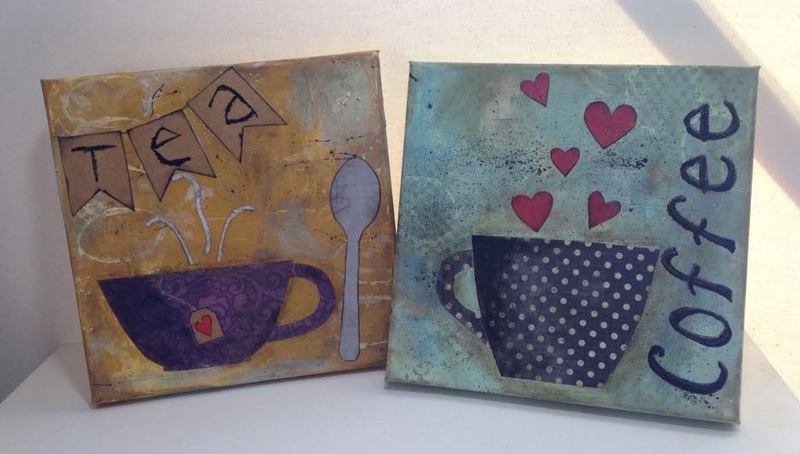 (1) 8X10 mixed media coffee OR tea canvas art: 2 hour class, $28 All supplies are included! 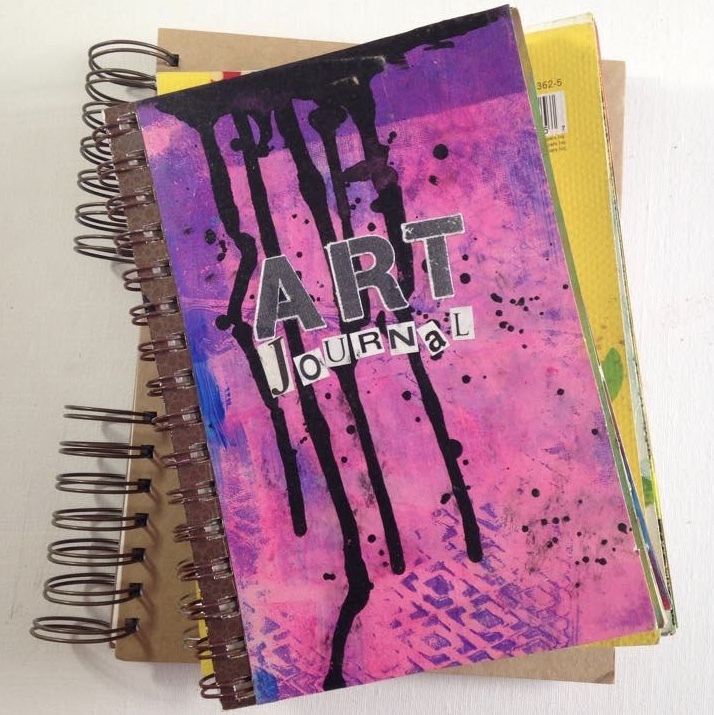 Art Journaling 101: -- $28 Info about journals, and supplies. Learn simple backgrounds, and finish a page! All supplies included! Whether it's for Springtime, Summer, Autumn, or Winter (or holidays) you can make these wreaths out of ... wait for it ...soda cans! 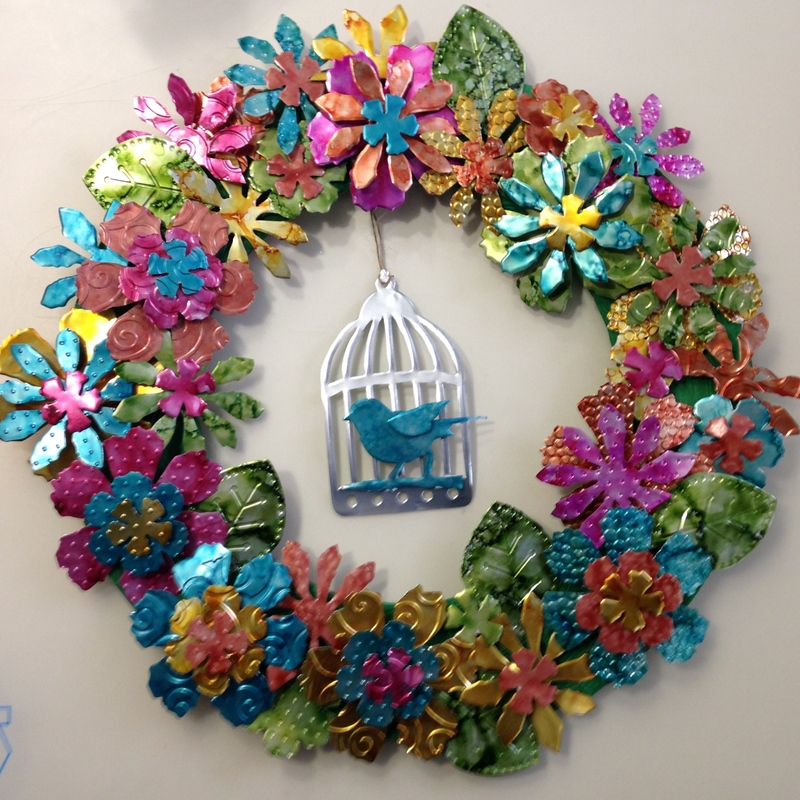 Yes, we will show you how to repurpose aluminum cans into a seasonal wreath, using dies and alcohol inks. You will learn how to prepare the cans, color, cut, and emboss the shapes, add dimension, and then put together a wreath. Use these skills to make other metal embellishments to use on your pages, cards, or altered items. You can use the same techniques to create other themes ... Valentines, Christmas, Baby, Beach ... the possibilities go on & on! No doubt you have heard of the painting parties, where a group is led, step by step, through the process of creating a painted canvas, and you end up with a finished piece of artwork you painted yourself! We are excited to bring these classes to Cozy Crop House. We can offer them during a retreat weekend or on weekdays. So many designs to choose from; check them out here.Choose seasonal designs and swap them out as needed to keep your decor timely with your own works of art! Class minimum is 5 students; all students will paint the same design. We're excited to teach you things we have been learning, and we have several new classes in the works. Check back for updates, or drop us a note to let us know what you'd like to see.